It happens many times that you find an interesting blog post to read, but suddenly you realize that you are getting late for some other important work at that time. But, WordPress mobile app has come up with a solution to it. If you have the WordPress app installed on your phone, then you can now bookmark posts with Save for Later. If you are a WordPress app user and you like to read blogs, you must be familiar with the WordPress.com reader. But if you don’t know about it, then let me tell you that it’s a great tool for finding and reading blogs of your choice. And now, with the new option of Save for Later, you can bookmark posts to read them when you have time for it. First of all, you need to have the most updated version of the WordPress app installed on your smartphone. To use this tool, you need to open the WordPress app and go to the WordPress reader tool. Now that you are using the WordPress reader tool in the WordPress app, you can fetch many blog posts. You will see the icon for Save for Later with every post. 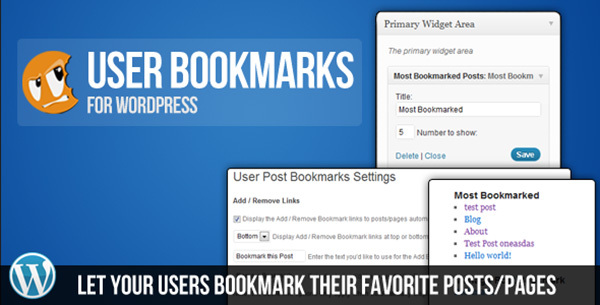 You can bookmark posts that you find interesting and want to read later. You can do this as many times you find a post that you like and want to read later. After you have bookmarked your favorite posts, you find time to read those posts. You only have to do is to open the WordPress app again in your phone and head again to the Reader. You will see all the saved posts there. Select the posts and start reading them. You can remove the post from the Save for Later list anytime you want, and it won’t show again in the list. The posts that you bookmark to read later will be available to read even when you are offline. As the bookmark posts feature has just released, there is no guarantee that you will be able to see the images when you are offline. The Save for Later option will work differently for the same WordPress account in different smartphones. This means that this feature is not available to be synchronized on the web. If you have bookmarked some posts to read them later, and you uninstall the WordPress app from your phone and re-install it again, all the posts that you bookmarked will be deleted.